The 2018 excavation works on the uninhabited Despotiko island in the Aegean have been concluded and archaeologists are speaking of priceless new findings that tell more about life in Ancient Greece, greekreporter.com notes. Despotiko is a small island west of Antiparos, and is a popular tourist destination. Excavations on Despotiko commenced 20 years ago and continue as real archaeological treasures are unearthed. 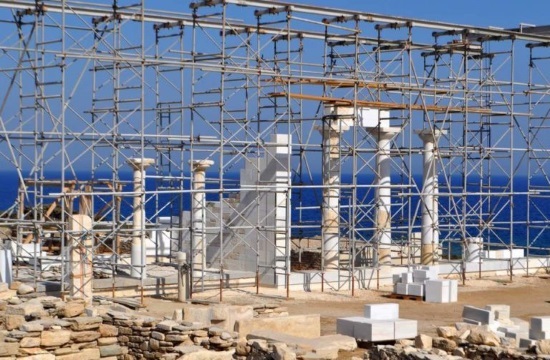 This year’s works ran from May 28 to July 6, under the direction of archaeologist Yiannos Kouragios, of the Cyclades Ephorate of Antiquities that belongs to the Ministry of Culture. 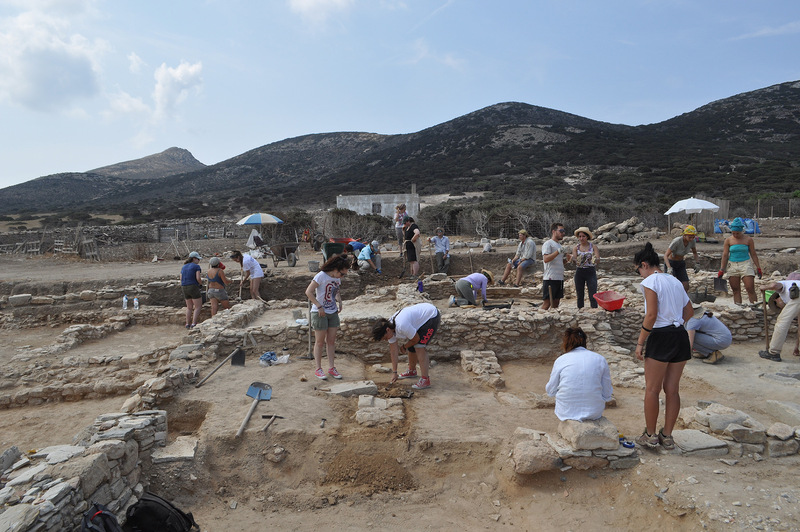 Archaeologists and students from Greek and foreign universities took part in the excavations. "This year's excavation focused on the areas surrounding the main temple and Buildings Z and R," the Ministry of Culture said in a statement on Monday, according to ANA. "The results of the season were particularly illuminating in terms of topography and how the ancient temple was laid out," it added. The principal findings so far are the Apollo sanctuary and surrounding buildings, along with many antiquities, all dating from the archaic period. This year’s excavation concentrated on areas around the sanctuary and Buildings Z and P.
Its results were especially enlightening for the topography and organization of the archaic sanctuary. Research continued in the area south of the archaic temple, where the auxiliary facilities of the sanctuary are being developed, the so-called Eastern Complex. By 2017, 12 spaces of a total area of 180 square meters had come to light. This year, another large space of visible dimensions of 12 x 3 meters was partially unveiled, having a floor made of large-scale splitting boards. It is probably a courtyard, archaeologists believe. The excavations unearthed numerous ceramic artifacts of the archaic and classical periods — objects such as vases, basins, bottles, lamps, pots and amphorae. Metallic objects were also found, all estimated to date to the 6th century BC. The results from the investigation of the different construction phases of the complex were important. Underneath the westernmost rooms, an earlier two-story building of rectangular shape with visible dimensions of 8 x 3.20 meters was discovered, dating back to the 6th century BC. Inside the room researchers located — in their original position — a quadrilateral grid and a cooking pot. In addition, earlier floors were revealed in many areas and the thresholds of the original entrances that had been sealed were detected. It became evident that there were buildings on the site before the erection of the archaic temple in the middle of the 6th century BC. Also, north of Building E, a new building was found. It was labelled Building T (dimensions: 7.80 x 7.45 meters) and it consists of two rooms with independent entrances and a yards in front of each room. Research on Building P has been completed. It includes a rectangular ground plan of 14 x 5 meters and consists of four rooms. Its construction is placed in the late 6th century BC, but the main phase of its use must be placed in the 5th century BC. Considerable attention was also given to Building G. Since it appears that it was imperative to replace and expand its enclosure, excavated sections immediately west of it revealed a new building — an earlier construction — which was named Building Y. This construction has a nave-like floor plan measuring 7.70 x 6.10 meters with an entrance on the south side. Its walls are very sturdy, about one meter thick. Like every year, this year’s findings were impressive. 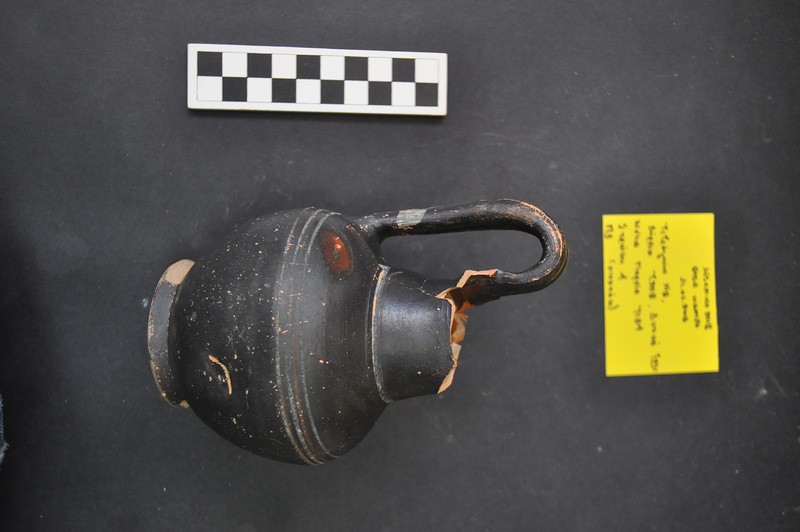 More than 15 lamps and 15 fragments of vases with engraved inscriptions (APL, APOL) were found, fragments of amphorae and red-colored craters, everyday vases such as basins, bowls, pans, bottles, and many metallic objects (a bronze lance, nails, russets, hooks, etc.). The restoration work lasted four weeks and the Apollo sanctuary has regained its third dimension. The visitor can see the size and its grandeur even from across the coast of Antiparos island. Along with the restoration work, masonry maintenance works were carried out in the M and N buildings.